I’m very excited to announce a brand new client for Adam Riemer Marketing, UpCity.com. 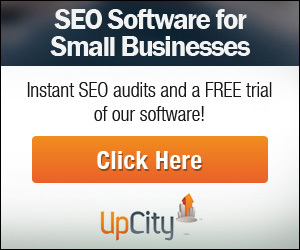 UpCity offers a leading SEO software affiliate program with numerous tools built for small businesses that do their own SEO, and agencies that work with SMBs. The software isn’t like a Moz or Raven Tools which are built for enterprise accounts and high level SEOs, it is designed for small businesses and SMB SEO agencies to more easily manage their SEO efforts while saving time and money. Dedicate outsourced affiliate program management by Adam Riemer Marketing. If you have small business, marketing advice, SMB advice or resources, know SEO agencies that work with SMBs, or SEO traffic, the UpCity SEO affiliate program is perfect for you! Click here to join the leading SEO software affiliate program. If you want to learn more about it or how to promote the program, continue reading. Who should join the UpCity SEO affiliate program? And anyone else with relevant traffic! If you are ready to join the leading SEO affiliate program, click here to start now on Share a Sale. If you want some tips and tricks to make money with the UpCity SEO software affiliate program, keep reading. Here are some tips and tricks to help you make money with the UpCity SEO affiliate program. 1. Selling points to make money with the UpCity SEO software affiliate program. UpCity offers a free trial for potential customers and agencies so that they can see the benefits without having to purchase. The software is built for SMBs and Agencies to help make their jobs easier and save them time. You can get a free and instant SEO report card (a mini SEO audit) on their site. The software tracks and sends ranking reports on a regular basis to help you keep track of how you are doing. It is priced for small businesses and they are always adding new features to make SEO easier for SMBs. There are tools for tracking competitors rankings, keyword research advice and easy to follow instructions that are always being updated to meet best practices to help SMBs rank better. It is an easy to use interface with instructions to guide your visitors through a marketing channel that is normally overwhelming and confusing. You can set tasks and reminders to track progress. What is the best SEO program/tool/software for Small Businesses? Talk about what is needed and necessary for SMB or Local SEO and the time saving factors. The pricing makes it a great fit for a small company that wants SEO, but doesn’t have a ton of funds or have a ton of time to invest into it. PPC is tricky and you need to expect that you will lose money at first, and that some people will never make anything if they aren’t good with PPC. Below are some thoughts on how you may want to start your campaigns, and then if you see some of them working, you can build off of those campaigns. Remember, long tail keywords can have less volume but higher conversion rates. The UpCity SEO software affiliate program also has a 20% recurring commission for life so if your referrals turn into sales, you may lose money on the first month or two but they may be profitable later on. You should also think about using the Share a Sale custom link tool because you can add tracking parameters like keywords, ads, etc… to them and know what is and what is not working. Below I’ll start with a base keyword and build it out into longtail. I have not tested these keywords. They are here for you to use as an idea to get started. In the example above, software can also be tools or program, small businesses can be local and businesses can be business. 4. Here are some of the banners we have for you to use with the UpCity SEO affiliate program. If you are ready to join what is soon to be leading and already the best SEO affiliate program online, click here to get started with UpCity.com.